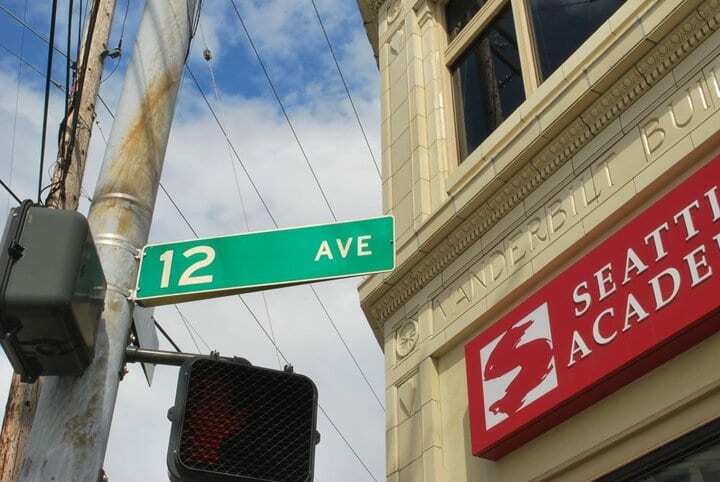 There’s another academic institution making plans for expansion just off 12th and Madison. But unlike Seattle University’s planned 2 acre and change expansion by 2028, private school Seattle Academy plans only a 28,000 square-foot facility housing math, science, arts and technology classrooms. The Daily Journal of Commerce reported (subscription) on the solidification of the school’s plans and the necessary launch of a capital campaign to pay for the $15 million building before its targeted spring 2014 start of construction. The building is planned for space already owned by the middle school on the southeast edge of its campus. It’s a busy time for the Hill’s pricey but highly regarded private schools. Construction contractors working for the Northwest School are in the midst of building this also-$15 million theatre, cafeteria and sports field facility at the corner of E Pike and Bellevue. Meanwhile, $30 million is the price tag for Seattle Prep high school’s seismic-focused project in North Capitol Hill that has rolled forward with some of its smaller elements first. The Hill’s private middle and high schools attract hundreds of students — just under 700 at Seattle Academy, 400 at Northwest School — and usually boast faculty to student ratios below 10:1. Tuitions range from $13,000 at all-girls high school Holy Names to more than $27,000 per year for a senior at Seattle Academy. This entry was posted in News, etc. and tagged development, schools by jseattle. Bookmark the permalink. No they’re not. Northwest School – First Hill, Seattle Academy – Squire Park. Look at a map.